Mazda is closing in on the next production cycle for its fourth-generation Mazda 3 hatch that could see a hybrid all-wheel-drive version join the line-up after the upcoming Skyactiv-X settles into showrooms. It is the first indication the Hiroshima car maker has begun talking about a Mazda 3 MPS successor since it started showing the new hatchback and sedan to media. Speaking with Wheels at the launch of the new model in Australia, program manager for the vehicle, Kota Beppu, said the model was under consideration – including drivetrain details – but that it must first gauge the market’s reaction to the upcoming Skyactiv-X model, which will be the most powerful model in the line-up. 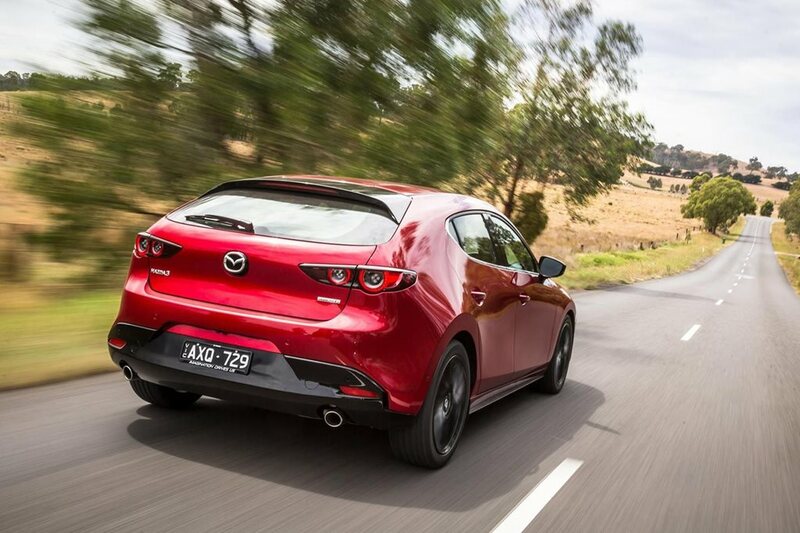 “I myself would love to have it,” Beppu said when asked about a possible Mazda 3 MPS replacement. “However, there are two huge hurdles. The first one is environment, as we just discussed, yet satisfying our great driving performance. So at the same time, environmental requirement is going to be very difficult and it requires lots of advanced technologies, and we have to develop those technologies. And you need to wait until the technologies are ready. The issue of environmental factors points to Mazda experimenting with a hybrid version of the 2.5-litre turbocharged four-cylinder engine found in the CX-9 and CX-5. Wheels understands from a source at Mazda USA that a mule has been fitted with the engine in California “to see it fits", which it does. Discussing hybrid technology and electric vehicle architecture, Beppu explained that Mazda sees performance cars moving onto electrified platforms. So far, Mazda has only very mild hybrid powertrains but a hot Mazda 3 hybrid could be a halo car for the brand. “Generally speaking, that is the direction I think they are going to go overall. For example, Ferrari in Europe and other makers in Europe are heading to the electrification. And of course we pay attention to EV in terms of environmental friendliness but we also pay attention to EV for other reasons, which is the performance view. We see some possibility of potential to get a better performance feel out of EV. However, the return of a hot Mazda hatch to tackle newcomers such as the Hyundai i30 N and seasoned players like the Volkswagen Golf GTI won’t be for a couple of years yet.